AirEase is one of the best HVAC brands on the market today, and residential and commercial customers love using their products. When you choose William E. Kingswell for your heat pump, oil furnace, or air handler, you partner with a family owned and operated business that has exceeded the needs of hundreds of thousands of customers throughout our decades in business. Our excellent customer service and knowledgeable staff set us apart. 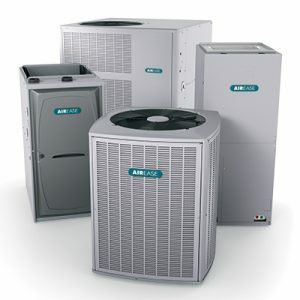 AirEase has been producing quality heating and cooling products for over 80 years. All of their products are designed for life, so they are manufactured specifically to outperform other models and give every consumer the most possible value. While AirEase has been making products for 80 years, they are still passionate about integrating new technologies into their products for modern comfort solutions. What AirEase Products Do We Offer? AirEase heating products come with a 10-year parts warranty and limited lifetime heat exchanger warranty. All of their other products are also eligible for their generous 10-year warranty.